Most indie artists don't have a lot of money in the bank, so if you're going to spend your valuable savings or that money you raised crowdfunding, you're obviously going to want to make sure it's a wise investment. Outside of the typical things musicians have to shell out cash for, though (quality gear, recording, merch, publicity – you know the drill), there are many less obvious investments you can make to enhance your music career. From hiring a songwriting consultant to getting a dedicated sound tech for your live performances, here are seven smart ways to invest your money that you might not have thought of – assuming you've saved up the money to spend, of course! Just because you can play your guitar doesn't mean you can write a well-crafted song. Songwriting is a skill all its own that takes years of practice to perfect. A seasoned songwriting consultant can offer objective advice about your songs and improve them significantly. It makes no sense to spend zero dollars on the most important aspect of your music career – your songs – and hundreds (or thousands) of dollars recording and promoting your music. People like Robin Frederick and Jason Blume are just two people off the top of my head who may be available to work with you in person or via the internet. Check them out. Some of the most important people related to the success of your career are the very people to whom you are trying to appeal: your fans. Yet, it surprises me how most bands don't spend the time or money to conduct research and get feedback from them. By rounding up two groups of 30 people, inviting them to your rehearsal studio, serving pizza and drinks, performing sets of your music, and having your fans discuss/rate your songs (or sound, stage presence, look, etc. ), you'll gather some crucially important information that can help save you a great deal of time and money in the long run. My band did this when we were planning our next recording project, and it worked great. We played 15 of our songs and let the fans pick the six compositions they wanted on our record. After all, if it's the fans who you're trying to satisfy with your music, doesn't it make sense to see what they think before spending thousands recording your EP or album? Anyone with a camera phone in their bedroom can think they're a photographer. While camera phones are quite impressive these days, an experienced pro who has access to amazing locations, knows how to arrange a shot, understands proper lighting, knows about hair and makeup, and understands fashion can give your band the real visual edge it needs. Look, if they say that a picture is really worth a thousand words, and you agree with this statement, then why not spend at least that much in getting some really professional photos done? Your brand depends on it. Your band's logo serves as the stamp of your brand. It's what's put on your drummer's bass drum heads, your banners, your road cases, your merch, and – you never know – it could even become your tattoos. While you might feel fairly confident playing around with Adobe Photoshop yourself, an experienced pro can really make a difference. Hire someone who has an outstanding portfolio of band logos and several years of experience to back it up. Remember, you want to have a badass logo that can become part of that badass T-shirt that people will gladly be willing to pay $15 to take home. So let the pros do your logo and design. Most artists spend thousands of dollars to get their music recorded, mixed, and mastered, and zero dollars to replicate that sound onstage! Think about it: you book yourself into a club with four other bands playing on the same bill, and then use a house sound guy who knows nothing about your music and vibe. Don't get me wrong, house guys do some really amazing work, but hiring someone who knows every snare drum fill, every guitar riff, and every vocal harmony can make a huge difference and give your band's live show the competitive advantage that it so desperately needs. While on the topic of your live show, let's discuss your light show! What light show, you ask? My point exactly! Once again, most bands rely on whatever the club provides, and that's precisely what the other bands on the bill do. This means that every band ends up looking the same. 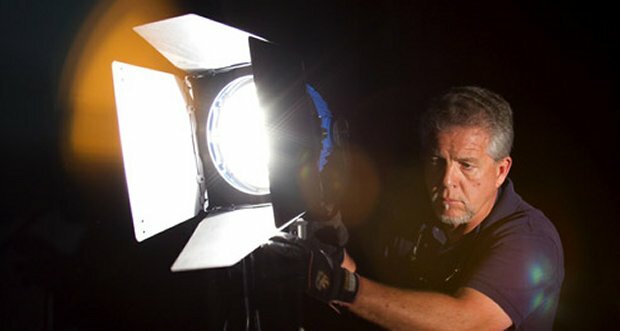 But imagine having a lighting tech who synchronizes every snare drum roll with a series of strobe lights, projects bright white lights from the stage into the audience on dramatic power chords, and builds special boxes that project bright lights upwards into your face, making you look like a superstar every time you step up on them. Sounds awesome, right? Remember, you're in show business. No show typically means no business. Want to get a really important person to come and see your show and hear your music? Then why not pick up their food and drink tab for the night? Really! It blows me away how indie artists will pay some random company to blast out their music to hundreds of bloggers, but never think about targeting one or two influential local music journalists or radio DJs and offer to comp their night. Sure, there are still no guarantees that the person you invite will like your music, but I'd bet on this more personal approach any day over some "get successful quick" campaign that sends unsolicited emails to the world. Have a few music career investment suggestions of your own? Please share them with us in the comments below. 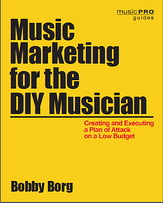 Bobby Borg is the author of Music Marketing for the DIY Musician: Creating and Executing a Plan of Attack on a Low Budget (September 2014). Find the book on Hal Leonard's website under "Trade Books" or on Amazon. Signed copies with a special offer are also available at bobbyborg.com.